For every woman looking to obtain for herself a quality bracelet like Tiffany and Co, one thing to have in mind is the fact that they don’t come cheap at all. And who in their right minds will want to spend a huge amount of money to buy a fake bracelet. The truth is this, most women that purchased counterfeit versions of Tiffany and Co bracelets never knew what they were getting themselves into until it was already too late. So before buying your favorite Tiffany and Co bracelet, you’ll definitely want to make sure you are taking home with you a genuine one. If you are reading this article, then you are in good hands. We have compiled for you few tips to help you make the best choices anytime you feel like buying one. Read on to find out how to spot fake Tiffany and Co bracelets for women. The logo should be neatly and professionally inscribed on the bracelet as it should be on all authentic Tiffany and Co bracelets. It should say on the bracelet ‘’T & Co’’. Most counterfeits might say ‘’T & Cu.’’ So make sure you analyze the brand name as well as it nature of inscription and be certain there are no errors. Investigate the place you are looking to buy your bracelet from. Is it an authorized Tiffany store or a Tiffany re-seller agent? If the seller isn’t an authorized dealer from Tiffany and Co, then there is a high probability you might be tricked into buying a fake piece. Always ask the dealer for a return policy and make sure you get one. Most dealers are the real deal, so attaching a return policy to their products comes easy for them. If the seller is adamant and refuses to attach a return policy to the T & Co bracelet you are looking to purchase, then it’s probably because it isn’t genuine. Remember you are spending your hard-earned money, so don’t settle for anything less. Check the font size of the brand name ‘’T & Co’’ inscribed on the bracelet. It should be moderately large. If the brand name is too small or not visible on the one you are looking to buy, then it’s most definitely a fake one. If you have used top quality jewelry before then you’ll know that they don’t come cheap. 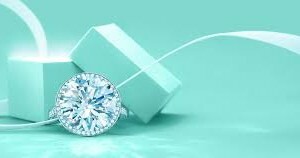 Tiffany and Co products are high-end sophisticated brands, so if it’s costing you almost nothing to acquire their jewelry, then they're most probably fakes. With these tips, securing top quality designer jewelry like Tiffany and Co should become easy to achieve.